Diatomaceous earth (DE) is essentially soft, silica-rich rock reduced to a fine, off-white powder. As a naturally occurring substance, DE from different locations will have different compositions, but each will be high in inorganic silica (80 – 90%) with 2 – 5% alumina, 1 – 3% iron oxide, and various trace minerals including calcium, magnesium, sodium, manganese and boron (though some samples may have substantially more calcium than others). DE may be considered a form of clay, but the silica content is substantially higher due to the dominant presence of prehistoric marine diatoms (phytoplankton) which had a high silica content to their cell walls. 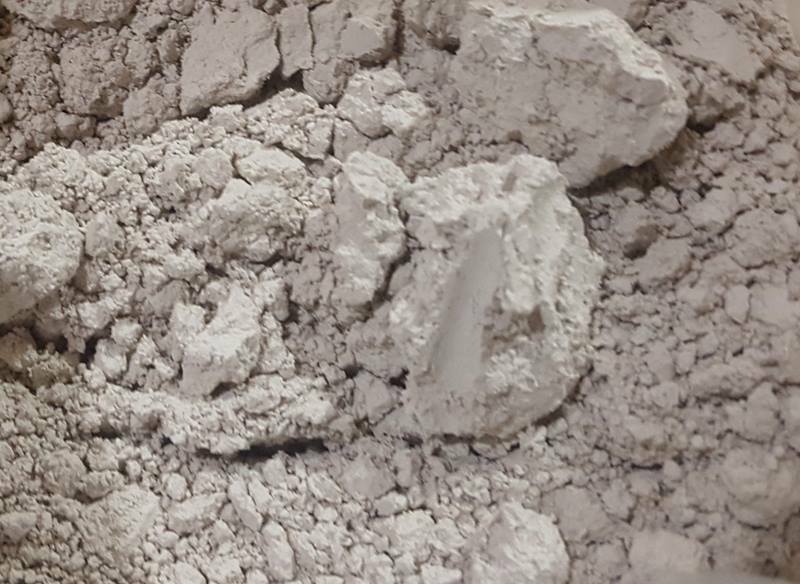 The structure of clay soils in general show a more balanced silica to aluminium ratio, averaging 60% clay minerals (basically (Al,Si)3O4 with other minerals depending on clay type), 30% quartz and chert, 5% feldspar, 1% organic matter, and 1% iron oxides. The low aluminium content of DE, when considered in light of the high silica content, is of great importance for detoxification process, especially aluminium clearance from the body. Silica is essential for higher life, but does not seem to exert a biological effect of its own. Rather, silica influences physiological processes via interactions with biometals such as aluminium, iron, or calcium, and of course is incorporated into the human body in sites such as nails, hair, and cartilage. The introduction of silica-rich water to the body has been found to lower the burden of the neurotoxin aluminium in the body[4,5,6,7,8]. Silica rich water, regardless of the aluminium content of it, will always have the net effect of reducing overall aluminium in the body, by both inhibiting Al uptake by the digestive system (Al egested bound to silica in faecal matter), and increasing renal excretion. Since it is now pretty much universally recognised that aluminium is a serious human neurotoxin and pro-oxidant with no recognised biological function in the body, and a prime causative factor in the development of Alzheimer’s disease, if all silica rich water did for us was remove aluminium from the body, this alone would be reason enough for us to take it. Dedicated silica-rich water is available, and it is very expensive. The addition of food grade diatomaceous earth to water creates silica rich water at a fraction of the price. Technically, pure silica (SiO2) is a water soluble silicic acid anhydride of monomeric ortho-silicic acid (H4SiO4), which is stable in very dilute aqueous solutions. Trace minerals contained in DE, zeolites, or other high silica mineral earth solutions facilitate the formation of ortho-silicic acid upon contact with stomach hydrochloric acid (HCl), ortho-silicic acid being universally agreed to be the most bioavailable form of silica. People who sell ortho-silicic acid supplements, including choline-stabilised ortho-silicic acid, will tell you this is the only reliable way to utilise the virtues of silica within the body’s physiological processes, but both the chemical reactivity and fate of the compounds involved, and much observational and study data tend to show otherwise. In fact, ortho-silicic acid requires stabilisation only in concentrated solutions, which is why we dilute a small amount of DE in a relatively large amount of water, and then introduce it to hydrochloric acid by taking it into our stomach. Silica taken orally is considered essentially non-toxic[11,12], and studies have shown that food grade DE at 5% of total dietary intake is completely safe, with no changes to internal organs, and no increase in residual silica in the liver, kidneys or spleen. Particulate silica inhalation has been linked to the development of silicosis, through inhalation of fine, crystalline silica. Food grade diatomaceous earth is fine amorphous silica, and is considered safe for moderate inhalation. Care is advised where the silica has calcified or crystallised (often intentionally through heat application for filtration applications), and soil grade DE is considered coarse enough to cause respiratory problems if inhaled in excess. Be cautious with your DE, but regular low key ambient exposure to amorphous silica dust particles is considered safe[14,15], just as ingesting DE is considered safe. In many ways, other silicate/alumina mineral earths such as zeolite and bentonite share characteristics with DE, but with every change in make up, each earth will react differently, just as different species of DE will react differently. Metal cations like Hg, Pb, Co, Cr, Rb, Ag, Cs, Cd, Zn, Ba, Sr, Cu, and Cr all have strong adsorption potential with zeolites, but exchange depends on cation concentration in the relevant medium, the size of the hydrated cations, and the Si/Al ratio of the zeolite framework. Si/Al ratio in zeolites (and there are many) ranges from 1/1 to 1.5/1 – more balanced than DE, therefore zeolites logically have less affinity for Al adsorption than diatomaceous earth. Zeolites are good for removing heavy metals like mercury (Hg), and metals of similar chemical structure and reactivity such as cadmium (Cd) and Zinc (Zn). Just looking at these 3 metals shows the conundrum of non-specific adsorption as must occur outside of a laboratory situation – both Hg and Cd are injurious to human health, while Zn is an essential in multiple applications in the human body. We need to be aware of that. I have come across research where zeolite species have successfully been tested for removal of aluminium in water, activated by hydrochloric acid, with optimal adsorption occurring at pH levels not normally associated with the GI tract (but close to interstitial and plasma pH), but none relating to increased aluminium excretion in humans. That is not to say that such research doesn’t exist of course, no one person can know everything. Diatomaceous earth has been tested for its action against a range of mycotoxins. The tests all involved animals, as it was necessary to introduce various potent mycotoxins into the diet of the test subjects, and then the DE. Firstly, DE significantly adsorbs (binds to its surface) a range of mycotoxins, allowing removal from the body with stools. Mycotoxins have many adverse effects on in the body, including lesions to internal organs, degradation of both mucosal and cellular components of the gastrointestinal tract, hepatotoxicity, impairment of lipid, carbohydrate and protein metabolism, enlarged gall bladder, necrotic tissues, oxidative stress induced DNA damage, haemorrhaging, vascular dilation and congestion, induction of pro-inflammatory responses, and impaired immune system function. Diatomaceous earth however, both prevents and ameliorates mycotoxin damage, and induces desirable weight gain as the emaciating effects of mycotoxicity are addressed. Diatomaceous earth has a positive/beneficial effect on overall lipid metabolism in the body. The current consensus is that for most in the Western world, reductions in total serum cholesterol, LDL cholesterol and triglycerides are conducive to good health, along with concurrent elevation of HDL cholesterol. These are the very effects that small but regular doses of DE achieves in the human body, with one study showing a 13.2% decrease in total serum cholesterol after 6 weeks in subjects taking just 250 mg of DE each day. Diatomaceous earth has a long but still active history of use as a means of controlling pests of all kinds, including internal parasites and worms, and externally as a dusting against mites and other insects[19,20]. It’s action against insects is twofold – the waxy cuticle is absorbed leading to desiccation and death[21,22], and the abrasive qualities of DE scratch the cuticle to the same end. 1. Antonides, LE (1997) Diatomite. United States Geological Survey (http://minerals.usgs.gov/minerals/pubs/commodity/diatomite/250497.pdf). Retrieved February 2, 2018. 2. Geological Society, London (2006) The composition of clay minerals. Engineering Geology Special Publications 21:13-27. 3. Perry C, Keeling-Tucker T (1998) Aspects of the bioinorganic chemistry of silicon in conjunction with the biometals calcium, iron and aluminium. Journal of Inorganic Biochemistry 69(3):181-91. 4. Davenward S et al. (2013) Silicon-rich water as a non-invasive test of the ‘aluminium hypothesis’ in Alzheimer’s disease. Journal of Alzheimer’s Disease 33(2):423-30. 5. Rondeau V et al. (2009) Aluminum and silica in drinking water and the risk of Alzheimer’s disease or cognitive decline: Findings from 15-year follow-up of the PAQUID cohort. American Journal of Epidemiology 169:489–496. 6. Exley C et al. (2006) Non-invasive therapy to reduce the body burden of aluminium in Alzheimer’s disease. Journal of Alzheimer’s Disease 10:17–24. 7. Exley C (2009) Darwin, natural selection and the biological essentiality of aluminium and silicon. Trends in Biochemical Sciences 34(12):589-93. 9. Exley C (2017) Aluminum should now be considered a primary etiological factor in Alzheimer’s disease. Journal of Alzheimer’s Disease Reports 1:23-25. 10. Jurkić et al. (2013) Biological and therapeutic effects of ortho-silicic acid and some ortho-silicic acid-releasing compounds: New perspectives for therapy. Nutrition & Metabolism 10:2. 12. Adamis Z et al. (2000) In vitro and in vivo tests for determination of the pathogenicity of quartz, diatomaceous earth, modernite and clinoptilolite. Annals of Occupational Hygiene 44(1):67–74. 13. Bertke EM (1964) The effect of ingestion of diatomaceous earth in white rats: a subacute toxicity test. Toxicology and Applied Pharmacology 6(3):284-291. 14. Merget R et al. (2002) Health hazards due to the inhalation of amorphous silica. Archives of Toxicology 11-12:625-34. 15. Checkoway H et al. (1992) Mortality among workers in the diatomaceous earth industry. British Journal of industrial Medicine 50(7):586-97. 16. Natour RM, Yousef SM (1998) Adsorption efficiency of diatomaceous earth for mycotoxin. Arab Gulf Journal of Scientific Research 16:113–127. 17. Lakkawar A, Narayanaswamy H, Satyanarayana M (2017) Study on Efficacy of Diatomaceous Earth to Ameliorate Aflatoxin Induced Patho-Morphological Changes in Liver and Intestines of Broiler Chicken. International Journal of Livestock Research 7(8):71-84. 18. Wachter H et al. (1998) Diatomaceous earth lowers blood cholesterol concentrations. European Journal of Medical Research 3(4):211-5. 19. Bennett DC, Yee A, Rhee Y-J, Cheng KM (2011) Effect of diatomaceous earth on parasite load, egg production, and egg quality of free-range organic laying hens, Poultry Science 90(7):1416-26. 20. Fernandez M, Woodward B, Stromberg B (1998) Effect of diatomaceous earth as an anthelmintic treatment on internal parasites and feedlot performance of beef steers. Animal Science 66(3):635-641. 21. Quarles W (1992) Diatomaceous earth for pest control. The IPM practitioner. Monitoring Field Pest Management 14:1–11. 22. Fields PG (2000) Diatomaceous earth: Advantages and limitations. Pages 781–784 in Proc. 7th International Working Conference on Stored-Product Protection. Sichuan Publishing House of Science and Technology, Chengdon, China. 23. Korunic Z (1998) Diatomaceous earths, a group of natural insecticides. Journal of Stored Produce Research 34:87–97.